We're already into the second month of this so far wonderful year! So many wonderful books coming out today! I'm going to list the two I'm looking forward to reading the most! I like this (-->) cover better what do you think? Ever since Mrs. Amberson, the former-aspiring-actress-turned-agent, entered Scarlett Martin's life, nothing has been the same. She's still in charge of the Empire Suite in her family's hotel, but she's now also Mrs. Amberson's assistant, running around town for her star client, Chelsea - a Broadway star Scarlett's age with a knack for making her feel insignificant. 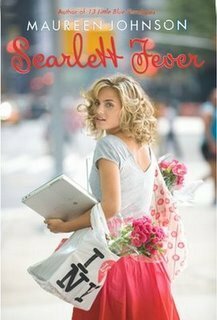 Scarlett's also trying to juggle sophomore year classes, her lab partner who is being just a little TOO nice, and getting over the boy who broke her heart. I already own Scarlett Fever so I shall be reading that soon, but I am going to buy The Iron King which has been recommended to be by a bajillion friends and Julie is such a sweetheart herself! 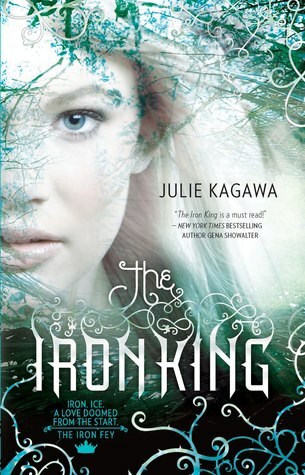 I can't wait to read The Iron King. I picked up Scarlett Fever today. Had to go to 2 separate stores on 2 different days to get it (and couldn't even use my coupon), but now I have it! And can read it during free period tomorrow! And yes, the key cover is far better. I am drooling in envy over your Scarlett Fever.